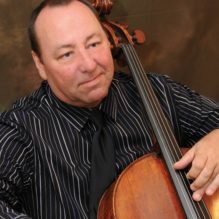 Celebrated for his "accurate intonation and warmth of tone" (New York Times), Grammy-nominated cellist Peter Wiley attended the Curtis Institute at just 13 years of age, under the tutelage of David Soyer. He continued his precocious accomplishments with his appointment as principal cellist of the Cincinnati Symphony at age 20, after one year in the Pittsburgh Symphony. He made his concerto debut at Carnegie Hall in 1986 with the New York String Orchestra conducted by Alexander Schneider. As a recitalist he has appeared at the Metropolitan Museum of Art and Lincoln Center's Alice Tully Hall. A member of the Beaux Arts Trio from 1987 to 1998, Mr. Wiley succeeded his teacher, David Soyer, as cellist of the Guarneri String Quartet from 2001 to 2009. He is also a member of the piano quartet Opus One, with Ida Kavafian, Steven Tenenbom and Anne-Marie McDermott. Mr. Wiley has enjoyed a long-term association with the Marlboro Music Festival and is currently on the faculties of the Bard College Conservatory of Music, the University of Maryland, and the Curtis Institute of Music.